What is Androgen Replacement Therapy? Androgen replacement therapy is a medical procedure prescribed to offset male hypogonadism and its negative effects. This is a hormone treatment that is generally prescribed to reduce or delay the effect of male aging. In addition, this therapy is also prescribed for men who report of decreasing testicular power that may be due to diseases, such as cancer, and other causes. The treatment has been in use for several years and has been proven as an effective remedy. Users report an increased attentiveness, improved libido and erection ability, concomitant drop in body fat and boost in muscle mass. Who Needs Androgen Replacement Therapy? This therapy is for those men that are suffering from low testosterone. This may be due to a problem with the pituitary gland or the testicles. This condition is called hypogonadism and is considered severe as it may lead to major problems. As per several reports testosterone level declines about a percent a year after one reaches the age of 30. If the decline is due to natural causes (age, etc) there might not be much to worry about; however, if it is due to hypogonadism then one must consult a specialist without wasting any time. ·	Changes in Sexual Functions: This includes fewer erections, reduced sexual desire and in some extreme cases infertility, especially if the disease is not taken care of. ·	Changes in Sleep Patterns: low testosterone is linked with sleep disturbances and even insomnia. ·	Physical changes: Since testosterone level is directly associated with a man's body mass, it is normal for a person to see physical changes as the level begins to fall. Some changes include reduced muscle bulk and strength, decreased bone density and increased body fat. In addition, gynecomastia (swollen breasts) and hair loss are also possible. Plus, experiencing hot flashes and having less energy are also common problems. ·	Emotional changes: It is natural for low testosterone to lead to emotional changes including depression and low self-confidence. In some cases this may even result in memory related issues. In addition to all these problems several abuse cases have also been reported. Many athletes often demand for higher levels of testosterone than normal in order to improve their performance. Such a thing is considered illegal in many sports and may lead to trouble. 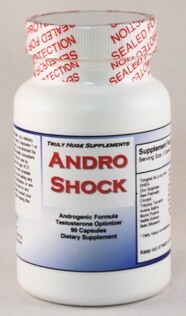 To sum it up androgen replacement therapy is a blessing for every man who suffers from low testosterone levels. Signs and symptoms of low androgen levels should not be neglected. One should opt for a therapy under the supervision of an expert to avoid side effects.